Get Started with Some Essential iPad Air Apps! Apple’s new tablet iPad Air has been launched recently. With this new full-sized tablet, there would be a plethora of first time iPad users confused about how to set up and what apps to install. We have written extensively on setting up your new iPad Air, transferring data from old iPads along with many reviews and guides. This post will try to help you get your hands on some basic, must-have productivity and entertainment apps. iWork is a complete suite of wonderful productivity apps. It includes Word alternative named Pages, Excel alternative named Numbers and a PowerPoint alternative named Keynote. Each of these apps is available for free when you purchase a new iPhone or an iPad. That’s like a no-brainer. It is always there in every single best apps – especially if you consider productivity / reading apps. Back to entertainment, are we? Ah, yes! For those leading an active online lifestyle, this Twitter for iPad app will make things easier for you with notifications, custom settings, etc. 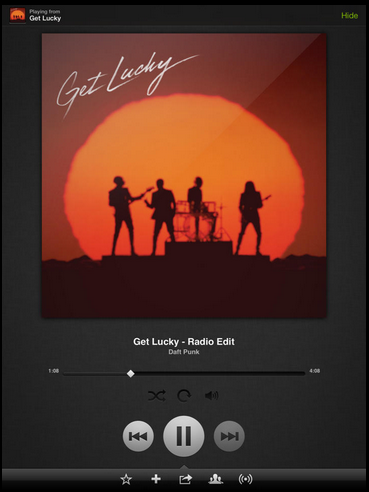 Spotify is considered as one the best services for music streaming with an optimized version for your iPad. Looking for some great app to help you with music world? Try Spotify. 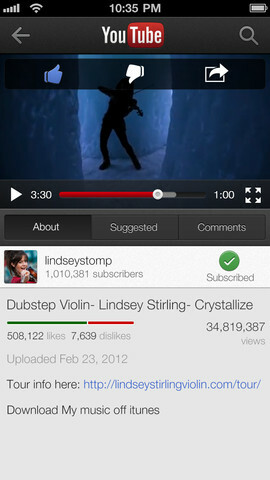 Long gone are the days when iOS used to come with its own YouTube application. In the latest times, you have to visit the App Store and download Google’s ultra popular YouTube app. 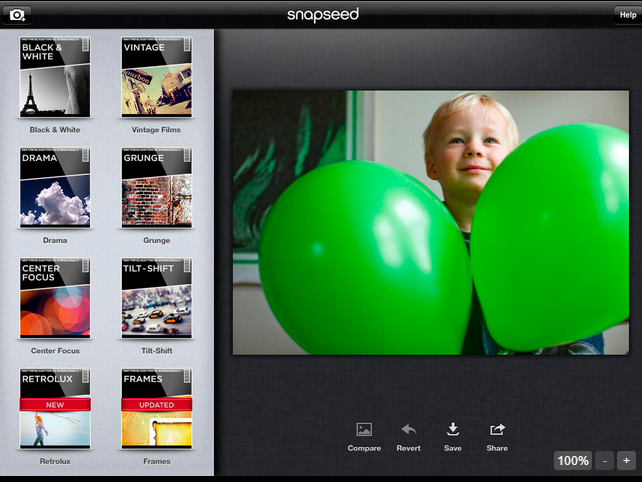 Snapseed is an image editor to assist you in giving some visual boost to your images. Very good interface and pretty neat tools to beautify your photos. Netflix is a handy app if you like watching TV shows and movies. Netflix on iPad Air will let you gain access to tons of new content on the go. Netflix requires a paid Netflix membership, but it starts with a one-month free trial for new subscribers. Puffin is popular for simulating real desktop browsing experience on mobile devices. Although not many sites use flash player now, but rarely we do get to use them. Have Puffin browser in your arsenal for those moments when you have to access some particular feature on the site which makes use of flash player. Many of us use multiple devices through out the day. It’s tedious to come across something we want to read later but then not finding it on other device. Pocket allows you to save articles, web pages or videos for later viewing or reading. The best thing? It syncs those saved links across all of your devices along with making this content available offline. Who buys a Kindle now? Lots of people. Why do they do so? I don’t know. However, what I do know is that now you can easily make a Kindle out of any tablet. Simply install the iOS app and have access to your complete library of Kindle e-books, dictionary and other features. Apple is working hard to improve its very own Maps application which apparently is taking years. Meanwhile, let’s dive into the trustworthy Google Maps app? So many apps and still no RSS feeder? That can’t work. With the closing of Google Reader, more people are now going for the Feedly app for a news aggregator. Evernote with its numerous features is famous for note taking for iOS. This app syncs all your notes across all your devices including the PCs. For best experience with mails, it’s always the Gmail app. You can definitely use the web app or built-in email app, but there is no match to this popular email service. Who had guessed if they would be using iPad as a cooking mentor? 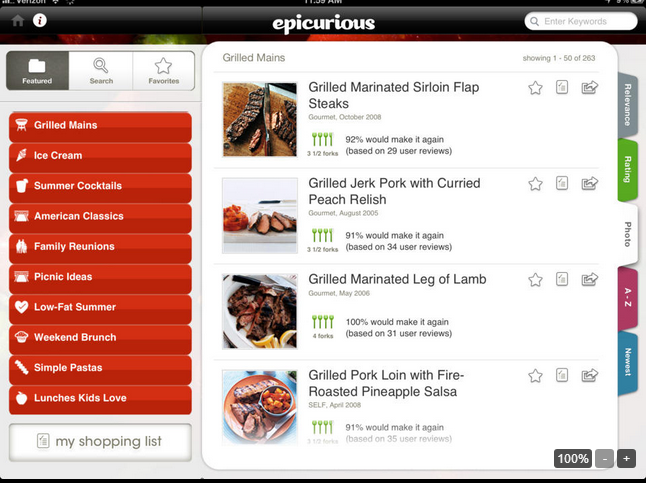 Epicurious is one of the many apps offering useful cooking tips and tricks paired with some amazing recipes. Give it a try! Onion is increasingly becoming a good source for news and satire in America. Controversial but fun!